brevirostris: from the Latin brevis, meaning ‘short, small’, and rostrum, meaning ‘snout, muzzle’, in reference to this species’ relatively short, rounded snout. 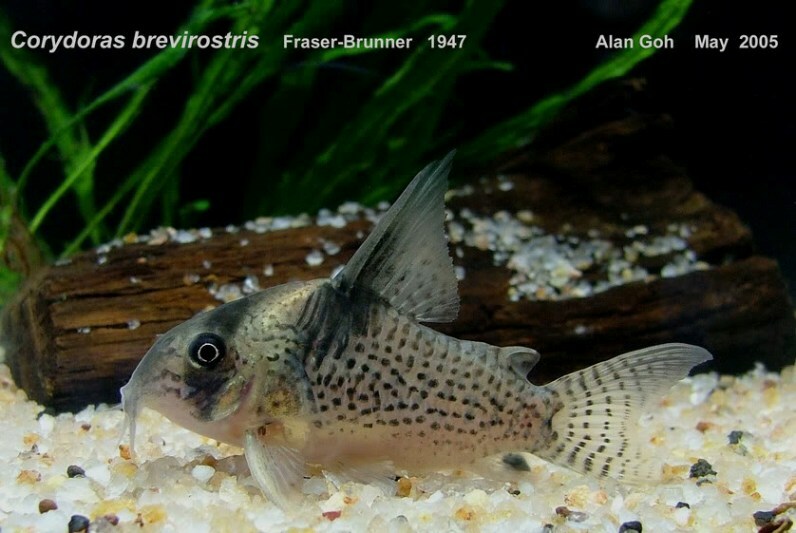 C. brevirostris was described from an aquarium specimen apparently exported from the Río Orinoco drainage in Venezuela, and its wider distribution is somewhat vague, usually being given as the Orinoco system plus unnamed coastal rivers in Suriname. This represents a somewhat disjunct pattern of distribution and if correct the species is also likely to occur in Guyana. This species is one of a number of similar-looking congeners including C. melanistius, C. delphax and C. ephippifer, all of which are tricky to tell apart from one another and have been widely misidentified in aquarium literature. Generally-speaking C. brevirostris can be identified by a combination of relatively short, rounded snout and presence of dark bars in the caudal-fin. C. wotroi Nijssen and Isbrücker, 1967 is sometimes considered a synonymous with C. brevirostris but recent authors (Reis et al., 2003; Ferraris, 2007) have placed it in synonymy with C. melanistius and that system is followed here. 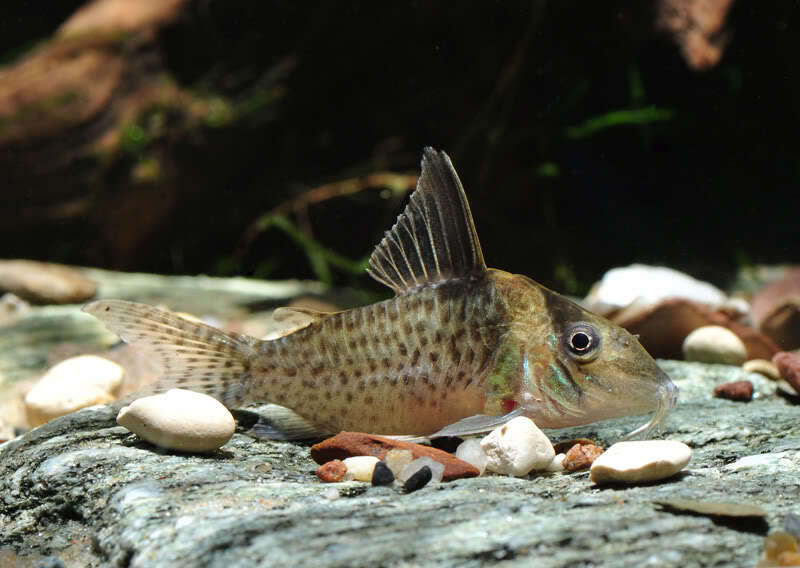 New fishes of the genus Corydoras. 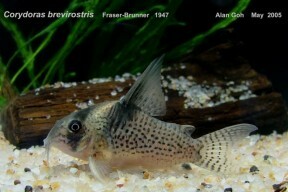 Descriptions of two new species of Corydoras, Lacepede, 1803 (Pisces, Siluriformes, Callichthyidae).